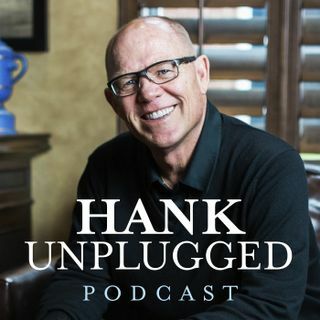 This week, Hank is joined on Hank Unplugged by Dr. Donald Fairbairn, professor of Early Christianity at Gordon-Conwell Theological Seminary, the academic dean of the Charlotte campus and author or translator of seven books. His book Life in the Trinity has had a great impact on Hank, and Hank has no doubt that everyone will take something valuable away from their conversation this week. Topics discussed include: the relationship between the Father and the Son as explained in Fairbairn’s book ... See More Life in the Trinity (2:00); how the evangelical Fairbairn’s travels around the world correlate to his interest and study of Eastern Orthodoxy (3:30); deification and Theosis as foreign concepts for many in the West (9:00); the ways Dr. Fairbairn believes his work in ministry has grown directly from his deafness (11:00); the fundamental relationship involved in salvation and how the focus can all too often be on the means to salvation as opposed to the meaning of it (15:00); the role that doctrines play in the Christian faith (18:00); the danger of making the Christian faith transactional in nature as opposed to transformational (24:00); the importance of the early church fathers (26:30); the Trinity, Incarnation, and Eucharist as concepts that we can apprehend, not comprehend (30:30); the problem when academic arrogance creeps into theology (34:00); what happens to society when we place humanity, rather than God, at the top of the order (36:30); the Lord’s high priestly prayer exemplifying the relationship between Father and Son in the Trinity (43:00); how Fairbairn used Star Wars to explain the premise of his book Life in the Trinity for the Christian Research Journal (47:30); is it possible to achieve unity throughout the branches of the “family tree” of the Christian faith? (51:30); ecclesia and the importance of being part of a church body (54:00); unpacking the idea of deification (57:30); and what drives Dr. Fairbairn to make a difference every day (1:02:30).